Mehta Motors was incorporated in 1983. It was a Union 76 gas station and Auto repair shop in Oakbrook, IL. Started by Kim and Hosi Mehta, a wife and husband team. Kim pumped gas and Hosi worked on cars. From the start we have incorporated personal values of honesty and integrity in the business. When the five year lease in Oakbrook was over in 1988 we found a new location on 463 Spring Road in Elmhurst, where we are today. This location had a gas station, repair shop and a car wash. In the early 1990s the decision was made to drop the gas business the tanks were removed and the soil replaced . In 1999 Kim and Hosi's oldest son Shawn joined the business. Shawn graduated from UTI with a degree in auto technology. In 2001 the repair shop was expanded to accommodate the growing business. The new addition that was added on doubled the repair shop capacity along with new equipment, office and customer waiting area. In 2001 their second son Sheroy graduated from Southern IL University with a Bachelor of Science degree in Automotive Technology and he joined the family business. In 2002 Richard Murphy came in with years of automotive experience in the field. In 2005 Shazad, the youngest son graduated from Southern IL University with a Bachelor of Science in Public Relations and Marketing. He made the natural decision and joined his brothers at Mehta Motors. Making this a true family owned and operated business. We have been blessed by the Elmhurst community in the continuing growth of our business. We strongly believe in giving back to our community. Elmhurst has given us the opportunity to live according to our principles and values. We are involved with the Kiwanis Club of Elmhurst, Rotary Club of Elmhurst, Elmhurst Jaycee's, Character Counts in Elmhurst, City of Elmhurst Commission on Youth, Mentoring Program in schools in Elmhurst, Elmhurst Walk in Ministry, Spring Road Merchant Association, Elmhurst Chamber of Commerce and Industry, Ray Graham Association, ZAC-Chicago, Fezana Welfare, and the World Zarthusti Chamber of Commerce. We are a complete Auto repair business at Mehta Motors, working on domestic and foreign cars. We have the latest diagnostic equipment and have established our reputation in the industry for the last twenty eight years for honest auto repairs and advice. We do everything from oil changes, brakes, exhaust, tires, alignments, emission repairs, electronic / computer repairs, all maintenance services and minor body work. We have the lastest software updates for most cars. Mehta Motors is an authorized Bosch Service Center for reprogramming computer modules with factory recommended updates. Our car wash MY CAR WASH is a full service car wash and detail center. 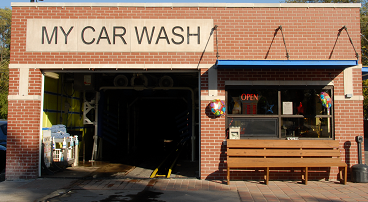 We offer a range of three exterior car washes from a basic express wash starting at $6. And three full service washes, which include vacuuming at very competitive pricing. We guarantee the best value for the money you pay us. We are not a high volume Detail Shop because we take care of the details in Detailing and finishing your car to make it look as new as we possibly can. Appointments are advised. 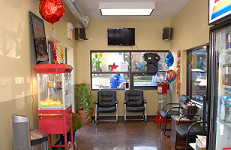 As of September 2010 "MY CAR WASH" has been remodeled with the latest equipment, and with enhancements to the building and waiting area to serve you better. We are also proud of the awards we have received thru the years!